We were contacted today by the grandson of Don Ashton of Blackburn Harriers. 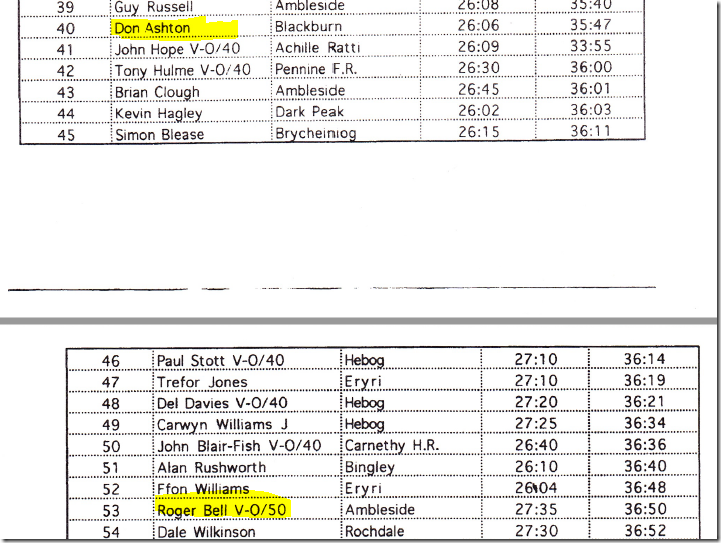 He spotted that the results on this website didn't match those in The Fellrunner. 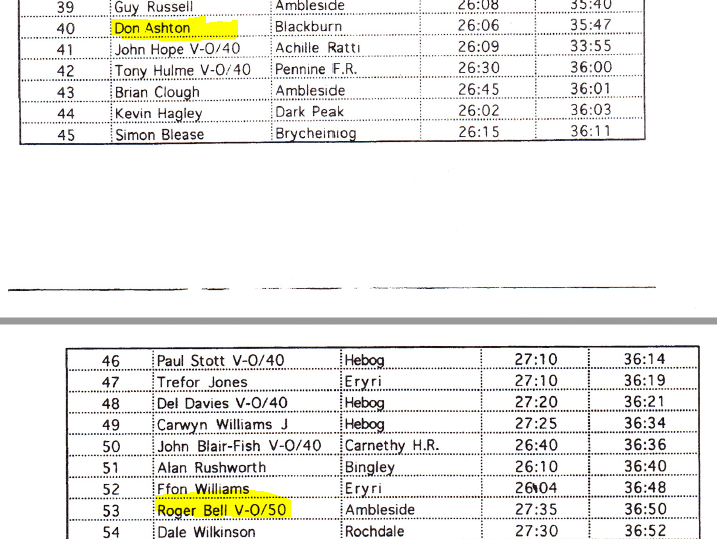 And this is what Calvin was able to send me, from the Fellrunner, with Don correctly identified as 1st V50. Sorry Roger Bell, whoever and wherever you are! And looking into this reminded me just what an incredible race that must have been! Not only Keith Anderson setting the phenomenal men’s record, and Claire Crofts equalling the ladies’ record, but a star-studded field with a truly inspiring number of runners finishing in times rarely matched in the last ten years. As the present organiser, I’m wondering how we might attract this level of talent back to the race? In previous years, I thought having the “bounty” record-breaker prize might help, but that obviously didn’t work. Ideas welcome!! PS Don’s grandson promises to race this year. And if he has his grandfather’s genes he might just make an impression.